This Prospero article by John Wood, is from September 2005. 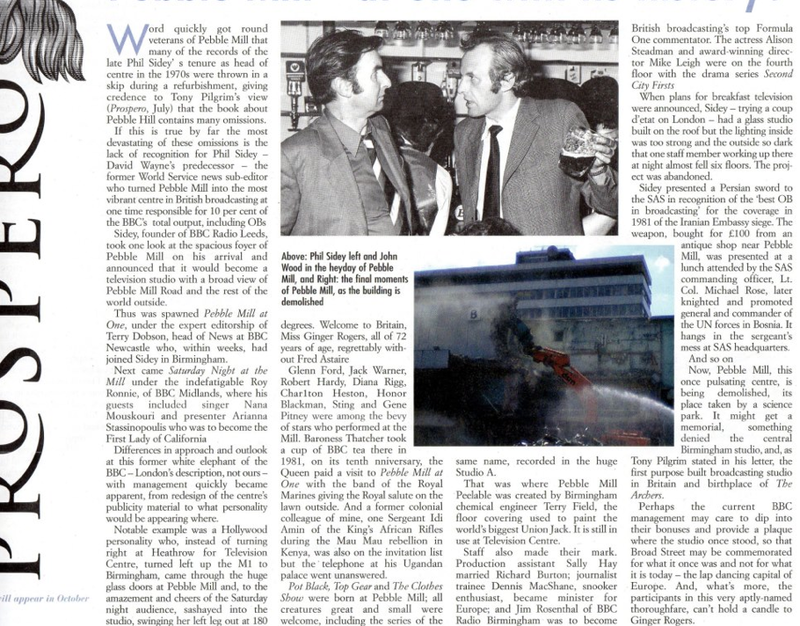 It concentrates on the heyday of Pebble Mill, when 10% of output was created in Birmingham. Phil Sidey, the first HoB of Pebble Mill is credited with spotting the potential of the foyer as the studio for Pebble Mill at One. Phil Sidey is shown in a photo with John Wood, from the press office, in the bar. Thanks to Peter Poole for sharing the article.